When I founded HTC in 1982, my vision was to build a lean marketing and design firm that cuts through the clutter with breakthrough ideas. I looked forward to many years of innovative campaigns and branding initiatives, but little did I know how far we would come or how big our ideas would get. In the mid-90s we quickly embraced the potential of the Web as a marketing tool. I remember how exciting it was to discover a new canvas to paint on, this new channel to explore. Luckily, our clients came on board too, and together we developed ground-breaking online strategies. Our pioneering spirit helped us launch one of the very first Canadian e-Commerce sites for Reader’s Digest. We’ve delivered effective Internet solutions ever since. 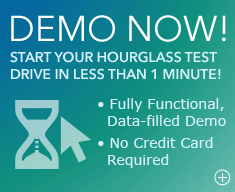 Now our clients experience the same savings and increased productivity from the software we developed to meet our own needs. 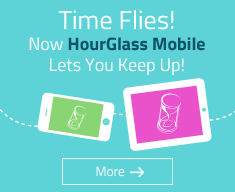 Using HourGlass, they can keep track of time, resources and expenses to stay comfortably on budget, while their customers appreciate increased accuracy, accountability and transparency. 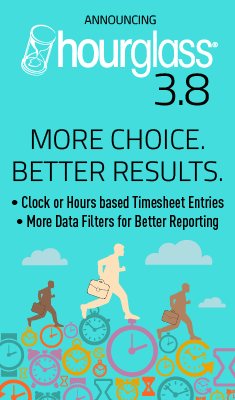 The 2009 release of version 3.0 has taken HourGlass to new levels of usability, functionality, performance and productivity. All this has been made possible by the hard-working HTC team, and the valuable feedback and suggestions contributed by a community of customers and testers. We are in constant dialogue with our users and believe strongly that it is this communication that has helped us build such a sophisticated application.